The service and people were great. Very knowledgeable and detailed when going over information. 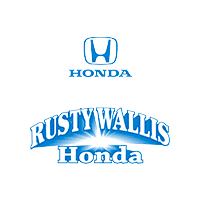 I’ve purchased from Rusty Wallis in the past and Jim Beeson made this purchase a pleasant experience as well as meeting my every expectation in the quality and standards that Rusty has kept over the years. Professional and friendly staff. Elba is awesome!! Loved her video calls and Jim was very thorough not only in helping me with my purchase, but also in showing us the new service facility and giving us the tour. I highly recommend giving them your business! Nice, friendly, professional service and Dillon explained thoroughly all that they did for a Full Synthetic oil change. The atmosphere in the waiting room was nice. Always do a good job. Greg Fine always do a outstanding job for me. John Hargis is the best salesman I ever work with when need to buy a new one again I will be back to see John Hargis. And when I need to have service I will always see Greg Fine. Can not ask for any better. Thanks for always doing a outstanding job. I’ve bought two cars there and have never been disappointed. Tried to buy a Hyundai a few years ago after my CRV was totaled in an accident and hated the car, dealership and service department was a nightmare.